Tired of the old traditional boring inflatable pool rings? The WildThings trademark design brings a touch of the Safari to your swimming pool. This high quality pool float features a comfortable pillow head rest and a mesh seat to keep you from falling through. This type of pool accessory can be fun for all ages and never gets old. 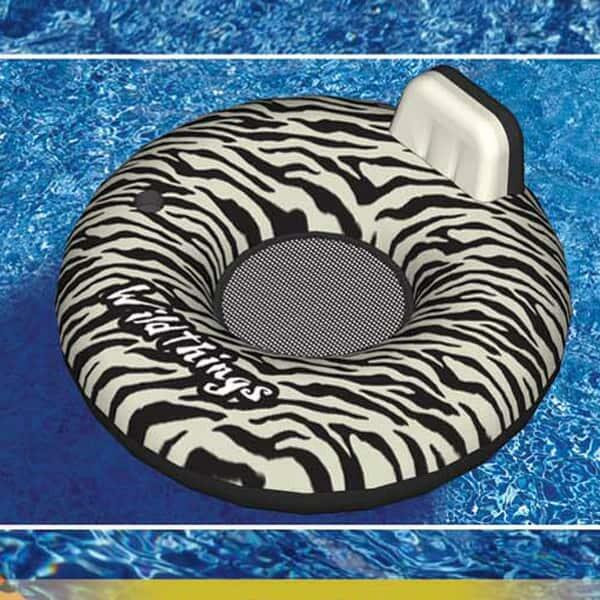 When the pool is open and summer is in full swing be sure to be prepared in style with this fun and colorful pool ring. Free Shipping on all pool supplies from Family Leisure.